Stephen Curry won his second consecutive MVP award in the 2015-16 season, becoming the first player to do so unanimously averaging 30.1 PPG and 6.7 APG. 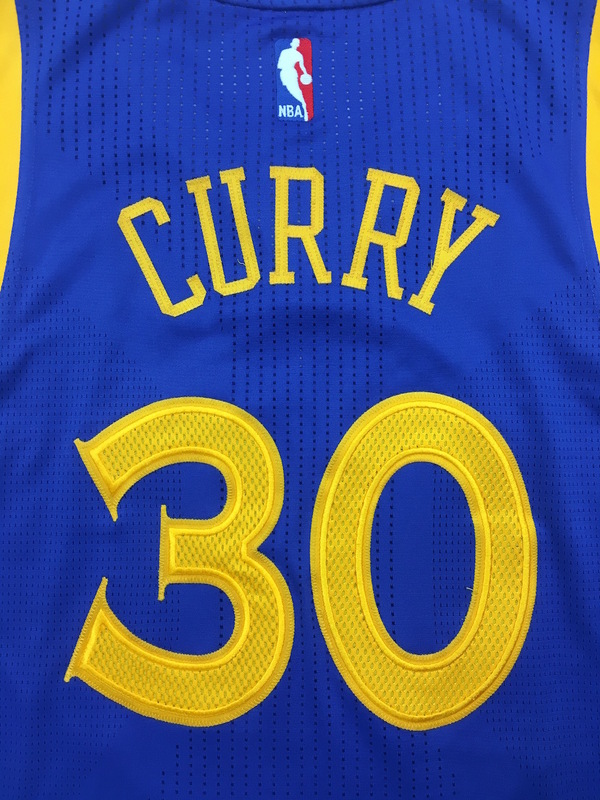 Curry is also a 3-time NBA Champion and is widely considered to be the most prolific 3 point shooter in NBA history. The jersey shows convincing game use with loose threads throughout and puckering on the tagging and staining on the inside collar of the jersey. 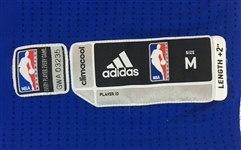 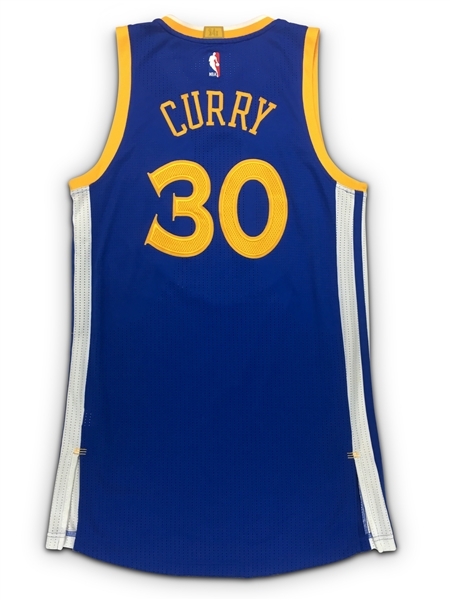 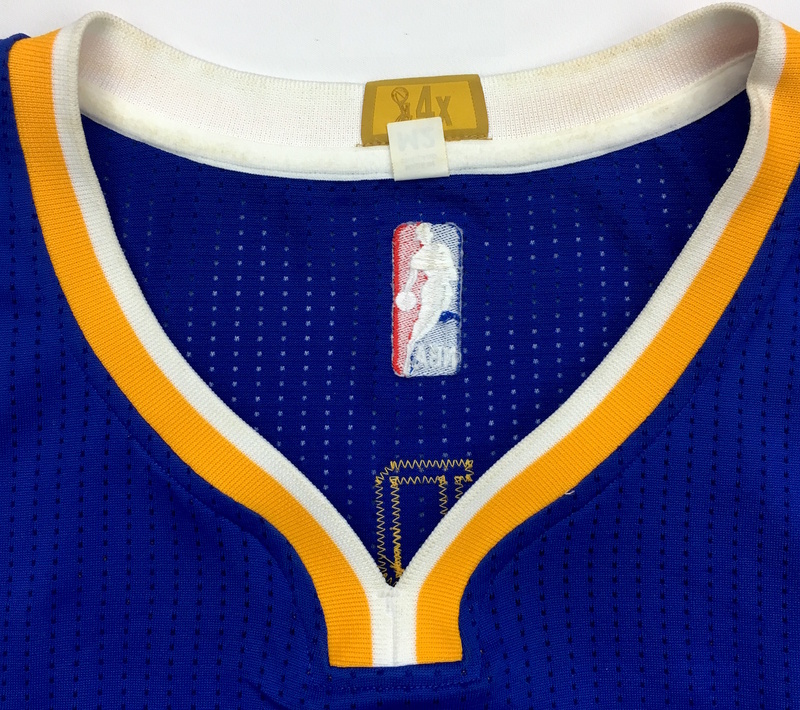 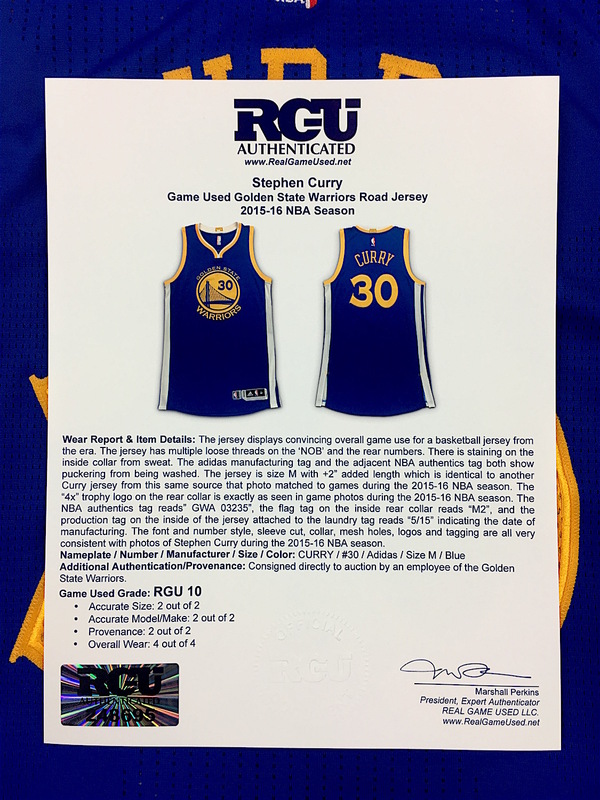 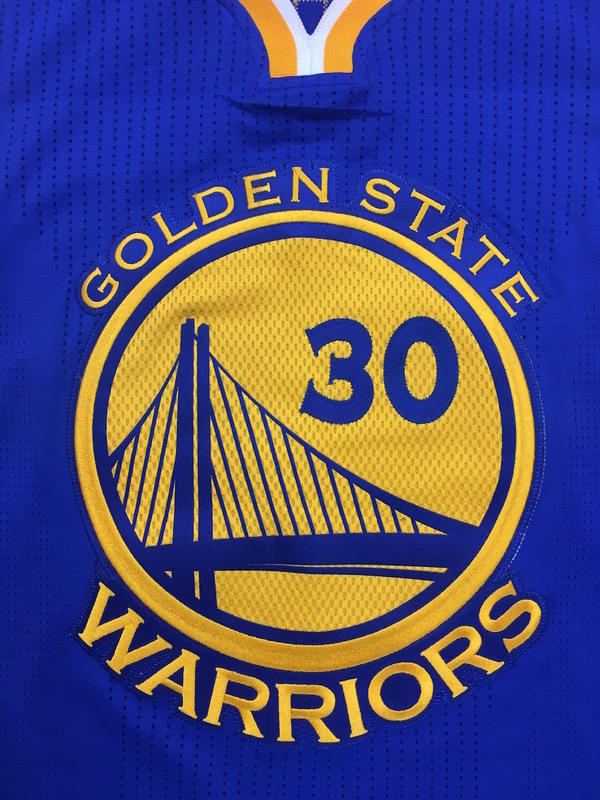 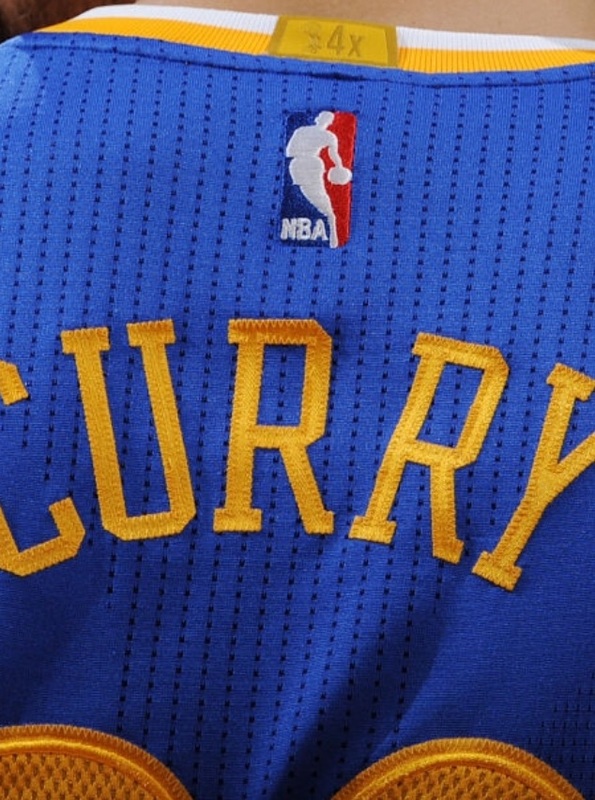 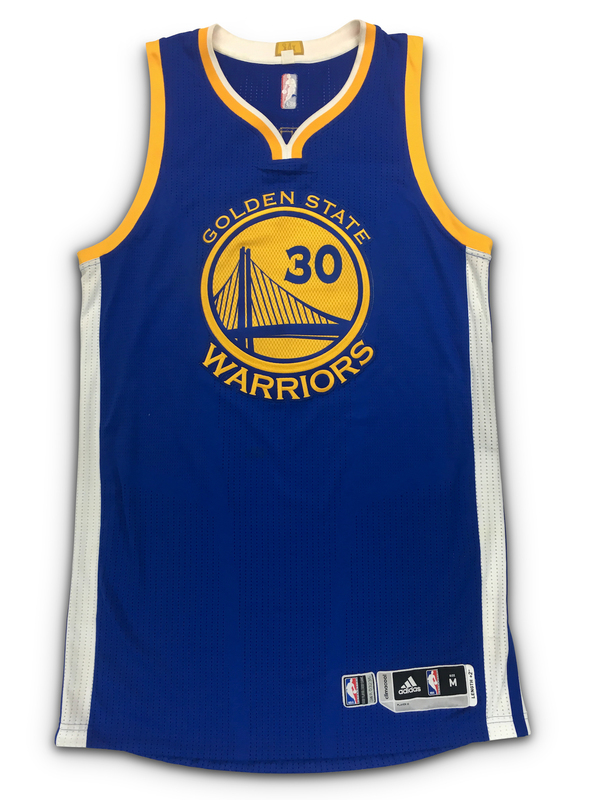 This jersey is one of the finest examples of a Curry jersey that we have seen as it was sourced from a Golden State Warriors staff member. 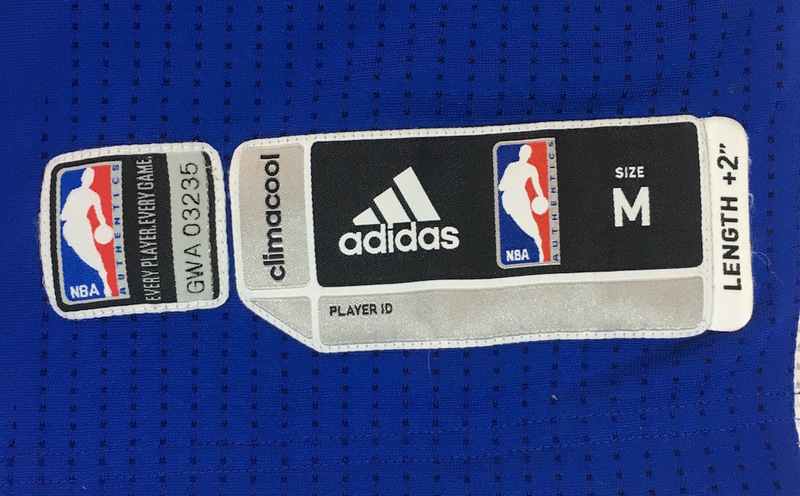 Jersey Specs/Tags: Adidas / Size M / Length +2 / Serial# "GWA 03235"